Drop into our Bar & Restaurant at anytime, where you can view our new menu & order either a bar snack for a light lunch, or something more filling from our specials board - good food is served everyday. No pre booking necessary. 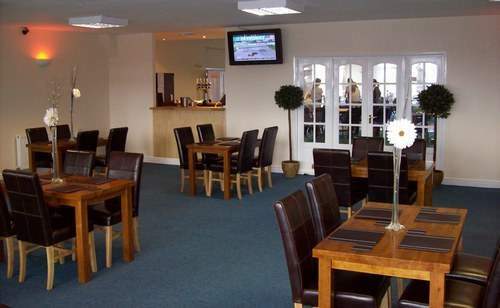 You are free to sit anywhere in the Clubhouse, whether you want to be in the New Lounge Bar (Newly Opened Spring 2010), the new Comfy Quiet Bar or the Woodland Suite overlooking superb views of the Golf Course. We also have an all new Patio area overlooking the action on the Golf Course. 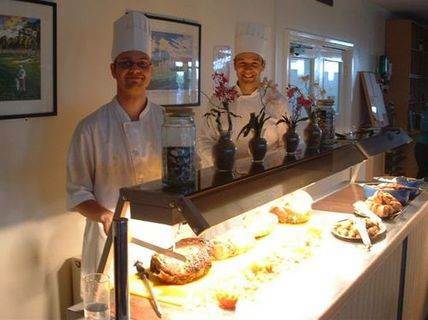 Our Sunday Roast Carvery's have proven to be very popular. A choice of roasted joints served with all the trimmings (please pre-book). Bookings can be made by calling 01280 851300. Lunches are available weekdays from 12 - 3.30pm. The Woodland Suite & Marquee are for hire, for Parties, Conferences, and Weddings. 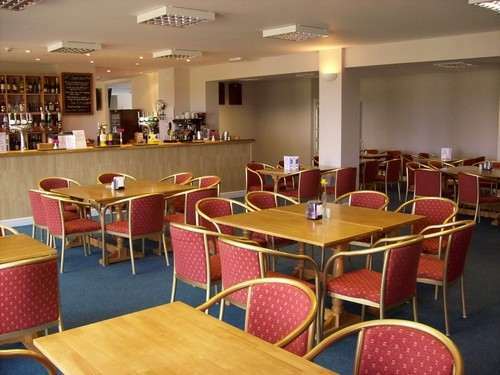 If you apply for a Silverstone Local Residents Card you receive 10% off purchases from the Bar & Restaurant (excluding special events). Anyone can apply for one of these cards, so please request a form. This card also entitles you to be invited to special events which are held at the Golf Club throughout the year.